Bitcoin Cash Price Takes Hard Hit: Did Bitcoin Bubble Just Burst? Bitcoin Cash, which split from Bitcoin back in August of last year, had been doing quite well given the fact that almost all other cryptocurrencies have been tanking for the past week and a half. Now it too has seen better days as the Bitcoin Cash price has taken a tumble. 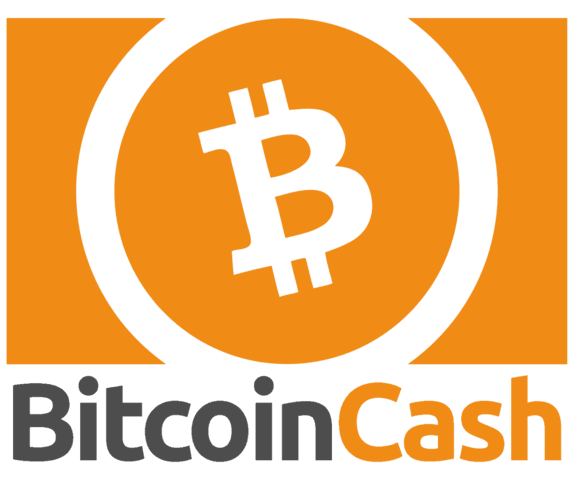 Bitcoin Cash price had been fairly stable, even rising, since January 8th, when it closed at $2,421. Meanwhile, many of the other cryptocurrencies in the top 100 by market capitalization had started consistent price drops. We even saw gains in the Bitcoin Cash price between January 8th and January and January 14th. During that period, its high price was $2,976 which bucked the trend of downward moves of late. A host of news out of Asia has been depressing cryptocurrency prices. Korea has been talking about banning them from the country. China has been cracking down on exchanges, trading, and mining. Coinbase delisted some Korean exchanges because they were trading cryptocurrencies at a high premium price. Upwards of 30% over exchanges in other parts of the world. All of that news has sent some panic into the markets and has caused some big sell offs driving down the prices. Bitcoin Cash, which seemed immune, has now also started taking a plunge. Today alone, the Bitcoin Cash price has dropped almost 29% and still have half the day. If one takes a look back to January and February of last year, we might have some idea of what is happening. On January 5th, 2017 Bitcoin peaked at $1,170. By January 12th, the price had plummeted to $759. That was a 35% tumble in just a week. In that same time frame, Litecoin also took a tumble coming off a high of $4.91 and plummeted to $3.61, at 26.5% between January 5th and January 7th. This may have also been due to things happening in China. Back in early 2017 the Chinese Yuan was dropping fast and weakening against most other fiat currencies. This led to a lot of money pouring out of China, perhaps into cryptocurrencies. When the Yuan started to strengthen after Chinese government efforts to stop the cash outward flow, it began to come back up. That then applied pressure to other currencies, including cryptos. Bitcoin Cash Price Rising Soon? Things will continue to fluctuate in the cryptocurrency markets until confidence returns and more money is going into them than out. While writing this article the Bitcoin Cash price hit a low of $1,397. It then showed an upward trend with the price rising to over $1,500. Looking at the one hour chart it has had two positive hours of buying. Last year when Asia caused the cryptocurrency prices to bottom out, they eventually rebounded and by March of 2017 Bitcoin had again climbed past 1,000 and even peaked at $1,200. Will that happen again this year to Bitcoin Cash and the others? No one can say for sure. However, history is said to repeat itself and it sure looks like this is a repeat of early 2017 in some respects. With the influx of cash into cryptocurrency investments come various types of investors. Some of them are more reactive to news than others. With big reactions to news, come big moves of the market prices. Meanwhile, other investors who have been in cryptos for some time know that this too shall pass. With the threat of South Korea banning cryptocurrencies has come a drop in market confidence. A lot of the selling and price drop could be due to Koreans cashing out, just in case their government does actually issue a ban. However, a ban would be almost impossible to implement and enforce. Anonymity and decentralization are built into Bitcoin. Those things make it very difficult to ban outright, anywhere. However, many people that are investing in cryptocurrencies today may not understand the underlying technology. They may not understand how and why it is anonymous or decentralized. That means they will react to any kind of news. This current market downtrend could just be many of them pulling their cash to secure it against loss. The current Bitcoin Cash price of ~$1,500 is a low it hasn’t seen since mid-December. If many of them invested between October and December 2017 they may be pulling out simply to take any profit they could. Again, looking at last year, things will most likely settle down later this month or in early February. Bitcoin Cash and other cryptos will stabilize in price and money will eventually come back into the market. With cryptocurrencies on the verge of going mainstream, getting new coverage nearly everywhere right now, it’s sure to continue to draw investors in and maybe even get some to return. It’s just a matter of time and of enough people being willing to ride out the storm into the light of profits later this winter. Of course, I’m not a financial investor so I can’t give you any financial advice. I can only say that my own wallet is currently shut tight so I’m not tempted to panic and sell anything. Given that the majority of my own Bitcoin was mined years ago, I’ve lost nothing but time and energy. I also have faith that the price will move upward again soon and then I could see double or triple the value of it all right now. So I’m just settled in and locked down for the moment. With Bitcoin Cash being down over 21% today it and other major coins are sure to start drawing in more capital as people will see the potential for large gains again. It may even be starting now as Bitcoin Cash is now at $1,600 today.